Voting ended in a tie. Jonathan must Wear a bandana for a day or Grow a moustache for a year or Do a 10km bike ride. Jonathan is raising money to support the Grey Nurse Shark. Voting is now closed. 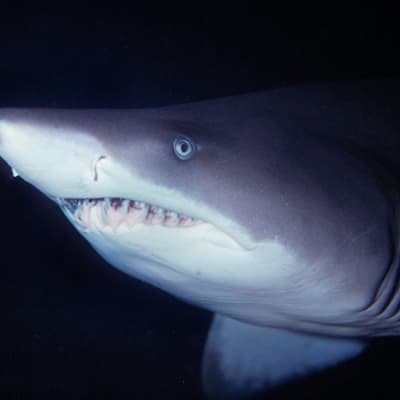 Jonathan's pledge is closed for voting, but you can still support Jonathan and the Grey Nurse Shark by making a donation using the 'Make a Donation' button above. Help Jonathan raise money for the Grey Nurse Shark. Support Jonathan slinning by donating directly to the Grey Nurse Shark.